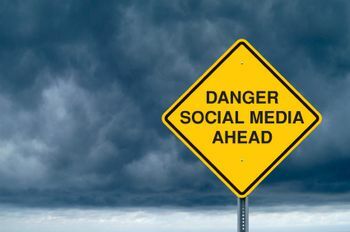 Global Business needs social media policy due to the latest controversy of the Twitter and Facebook.This article is a summery of the conversation with one of my US blogger friend Derek Overbey.Social media has become a part of our common life. So it is needed a wel furnished policy summarizes every business establishment either online or offline procedures for employee communication in the online or offline.Here is the Entrepreneurs implementation of social media privacy on corporate bloggers and personal bloggers. Do not worry,it does not need to be as fancy or long as the one IBM has developed.But you should have something crafted before you jump head-first into the social seas.What should you consider when developing a social media policy ? There are several things that can be very specific to your individual business. But we will stick to concepts that could apply to most businesses,big or small. Explain why you have developed the policy,Let your employees know that they should be themselves.They do not need to lose their personality,but do need to understand that they are representing the company,even when using their personal accounts. Most employees(and even owners)need to be reminded to use common sense when participating in social media.If you would not say it in front of your mother,you probably should not tweet it. Most people know right from wrong but having it in your policy can save you some grief later on.Have a section devoted to copyright and fair use.Using that photo you found on the web for a blog post could get you into more trouble than you bargained for. No one intends for the secret sauce recipe to get out in the wild.But reminding your employees what company information not to share could save your competitive advantage. Discourage aggressive and confrontational behavior.This is usually spelled out in most employee handbooks,but should be called out specifically in your social media policy as well.Employees may think they are sticking up for the company when trying to correct misinformation.Encourage responses to be done in a professional and considerate manner because they can be even more critical than the original comments. Do not just tweet to tweet.Inspire your team to stand above the noise and provide information that can really help your current customers and prospects too. Spell out the consequences of violating your social media policy.Remind your employees that the company reserves the right to request that certain tweets,posts and comments be removed if they violate the company social media policy. Cisco , Dell , Intel , Microsoft , Nordstrom and many more. Whether you are just starting out or your company has been involved in social media for years,take a bit of time to help your team navigate the ever-evolving social world.You can manage some additional social media policy in my previous pots.